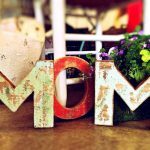 The Friday File: 86% of Americans will celebrate Mother’s Day, spending an average of $180, taking total spending to $23.1 billion, just slightly below last year’s record-level and equal to the GDP of Iceland. Individuals 35-44 will be the biggest spenders, averaging $224, edging out the average man who will spend $216. Mother’s Day was first celebrated in WV in 1908. In 1914, Woodrow Wilson made it an official holiday.